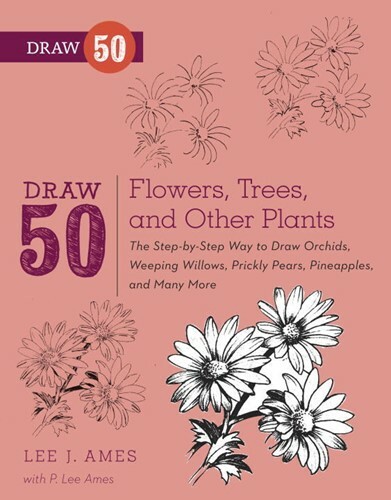 Draw 50 Flowers, Trees, and Other Plants shows artists of all levels how to draw with ease by following simple, step-by-step examples. Celebrated author Lee J. Ames shows you how to create a lush garden of roses, orchids, cacti, and a variety of fruit, as well as forests of towering firs, sequoias, and weeping willows. Ames's drawing method has proven successful for children and adults of all ages over the past forty years. The twenty-nine books in the Draw 50 series have sold more than 5 million copies and have shown artists from beginning to advanced levels how to draw everything from animals to airplanes. It's easy to grow your own garden when it's done the Draw 50 way.